The cannabis excise tax mark-up rate has been 60% and the CDTFA determined that there would be a continuation of this for at least another 6 months starting July 1, 2018. The CDTFA is responsible for determine mark-up rates two times a year in six-month intervals. 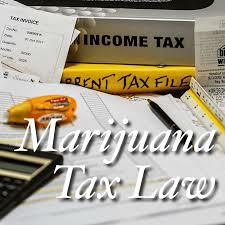 Current income tax filing rates can be reviewed by choosing "Cannabis Taxes" at the cdtfa.ca.gov website. They will pull together feedback and comments from the marijuana industry and others who have an interest on the existing regulations. A tax guide for cannabis businesses has been created and is updated with new tax facts that will answer specific concerns that taxpayers in the marijuana industry might be facing at any given time. There are also videos that include instructions on how cannabis taxpayers must complete and file their cannabis tax return. The guide is continuously being updated by the CDTFA when there is more important information. You can see the Tax Guide For Cannabis Businesses here. To make sure that get the latest marijuana tax facts, as well as other special changes on cannabis tax related issues, news releases, and regulatory changes, please sign up for the Bookkeeping Basics Newsletter. You can print and download your own customized business and financial online legal form document in 5-10 minutes for free by following the links below.